Research has shown that productivity at work and job satisfaction is strongly influenced by the working environment. Working in an attractive and well-designed office space stimulates creativity and contributes to health and well-being. Duffy London has designed this office pod, that not only looks amazing, but is very practical as well. 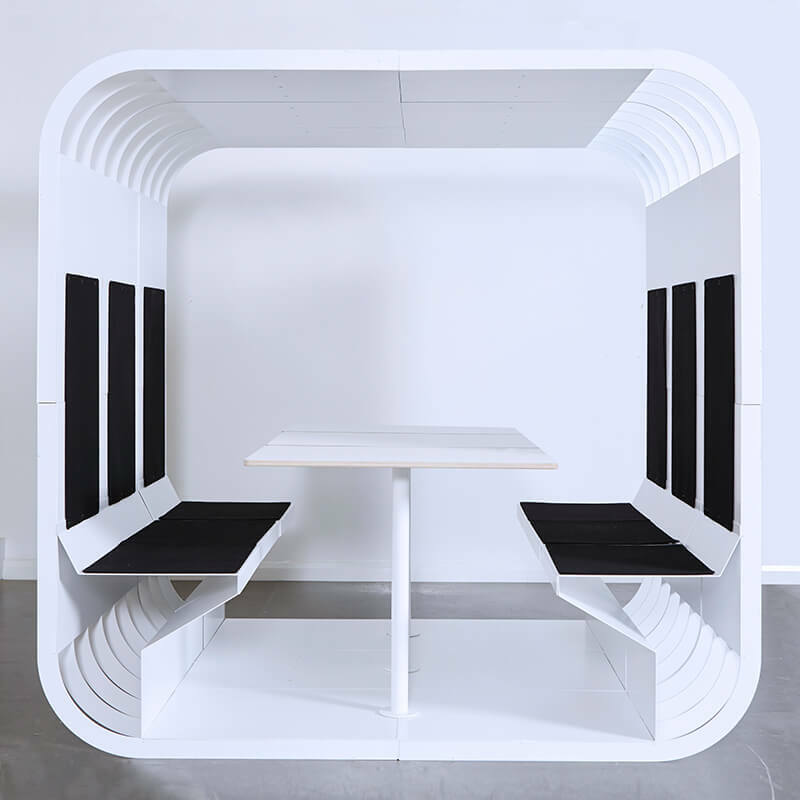 It can be used to create an intimate office meeting space, a quiet working area, or place for private phone calls. Available in a number of bespoke colour finishes. 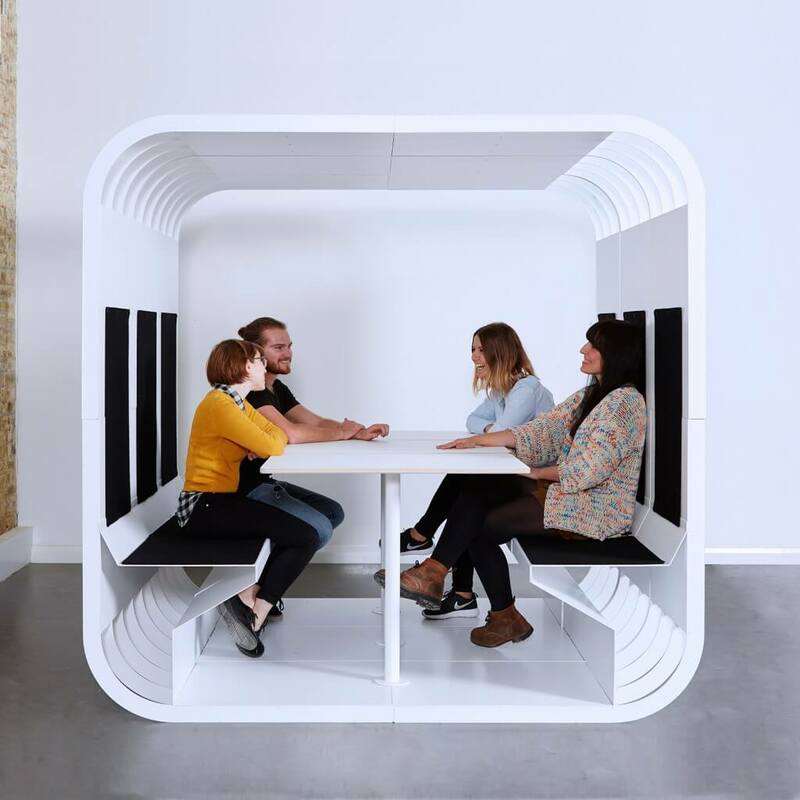 6 man meeting pod available in a set of 3, 2 man pods which can be joined together or used independently.